An inspirational encounter with the world of Christ, an uplifting study of the man, his times and his teaching. It reveals how the true meaning of Jesus' teachings, as found in the canonical gospels and many of the ancient apocryphal and other of the ageless, eternal and mystic path to God. Exhaustively researched from old and new testament writings of the Greek mystics, the Gnostics, the Mandaeans, the Manichaeans and others of Jesus' era, it reflects the yearning of all Christians and seekers throughout the centuries to penetrate the unresolved mysteries of their faith and attain direct, personal mystic experience of God. John Davidson lifelong interest in mysticism. After working for seventeen years at Cambridge University's Department of Applied Mathematics and Theoretical Physics, he left in 1984 to pursue independent interests. Since then has written a number of books, including a series on science and mysticism. The present series, Origins of Christianity explores the spiritual teachings of Judaism, Christianity and the ancient Middle East. The other titles are: The Odes of Solomon, the Song of Songs, The Divine Romance and The Prodigal Soul. Because of its universal prevalence, mysticism has been called the perennial philosophy, encountered at all times, among all peoples and present in all religions. In fact, when one looks with an unprejudiced eye at the religious teachings of the world, one finds that beyond the differences of ritual and culture, almost all are founded upon the same universal spiritual or mystic truths. A study of this universal spiritual basis to religion and the attempt to practise it in everyday life widens one's outlook, making it possible to see past the confines of religion, prejudice and preconception into the free and wide-open spaces of true spirituality. This spirituality is the inheritance of all human beings. Yet it seems to be an innate human characteristic to narrow down the universal to the particular and the parochial. From my earliest childhood I have been interested in the mystical, though I could not at first put a name to it. But certain feelings and experiences in life and within myself have led me inexorably to a mystical understanding. Prior to embarking upon the research that led to The Gospel a/Jesus, I had not studied Jesus' teachings in a detailed manner and - other than reading a few books on the subject - had rarely looked further afield than the New Testament. But the last six years have been devoted almost entirely to the study of Jesus' teachings, early Christianity and the history of the New Testament texts, together with an intensive exploration among a profusion of fascinating allied literature from around the time of Jesus. It has been the most interesting and rewarding research project that I have ever undertaken and has repeatedly demonstrated the wealth of mysticism present in the Middle East, Egypt and the Graeco-Roman world, not only during Jesus' time, but for centuries and possibly millennia, both before and since. From this research and from a long-standing study of the mystical and religious literature of the world, I have felt with increasing conviction that Jesus was not an isolated phenomenon, but was one of many who have taught the perennial mystic path. And in a way, although Christianity began as a Middle Eastern religion, for those of us raised in Christian countries, this ancient literature is a part of our rightful heritage. Yet it has largely been lost and forgotten by all but a few diligent scholars. For those who seek to understand the teachings of Jesus, a knowledge of this ancient literature can illuminate more dearly the meaning of his words. Many people, however, who have grown up in Christian countries have rejected Christianity as having little to offer in a modern world. But when we study the teachings of Jesus, pure and simple, we find that they speak directly to the human heart, whoever and wherever we may be, addressing the everyday problems and vicissitudes of life as well as the far deeper issues of ultimate truth, reality and spiritual enlightenment. We cannot easily escape our childhood conditioning. If only by reason of exposure, we have a certain cultural background built into us, despite ourselves. Consequently, having almost unconsciously become familiar with the words of Jesus, it comes as a great and often surprising relief to understand the spiritual meaning contained in them and to realize that they are universal in their character. It may also lead us to realize that in rejecting the false and the spurious, we had also rejected what could have been true and helpful. And no honest person would deny that we can all use a little help in our lives, in many ways. It requires only careful scrutiny and consideration to realize that the teachings of Jesus and those of Christianity are not the same. There are a number of practices and special beliefs in Christianity that are not founded on anything that Jesus actually said or taught. Added as the religion developed, their starting point can often be traced historically to a particular place or period. In addition, many of Jesus' sayings in the gospels and the record of events concerning him are difficult to understand and consequently have been interpreted in a variety of ways by different people, at different times. This divergence between Christianity and the teachings of Jesus is an important factor in our search for what he originally taught. 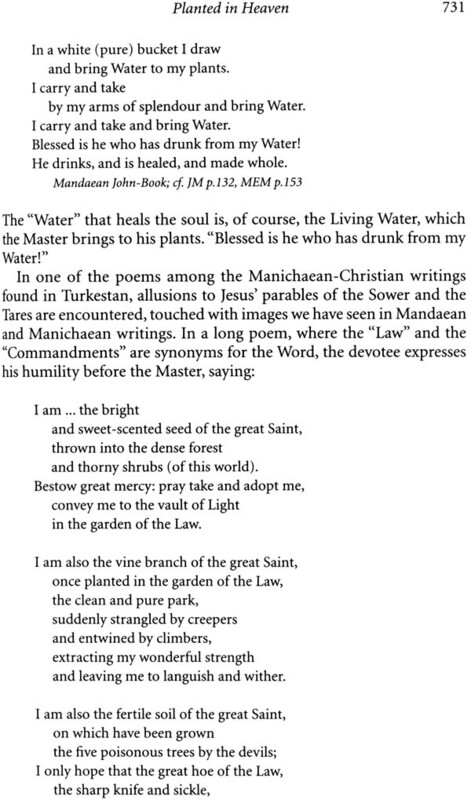 From a detailed investigation of Jesus' teachings in the gospels and elsewhere, it seems that he taught the mystic path of the Creative Word or the divine Logos - a path that many mystics both before and since have taught, a path of great and enduring importance to all those in search of Truth. If this really is the case, then there are indeed great divergencies between Christianity and Jesus' real teachings - often subtle, yet frequently of deep significance. The present book, therefore, has a number of allied purposes. Firstly, it explores the teachings of Jesus in the light of this ancient and universal mystic teaching. This entails an exposition of the main features of the perennial path, expressed - as far as possible - in the way that Jesus taught it. 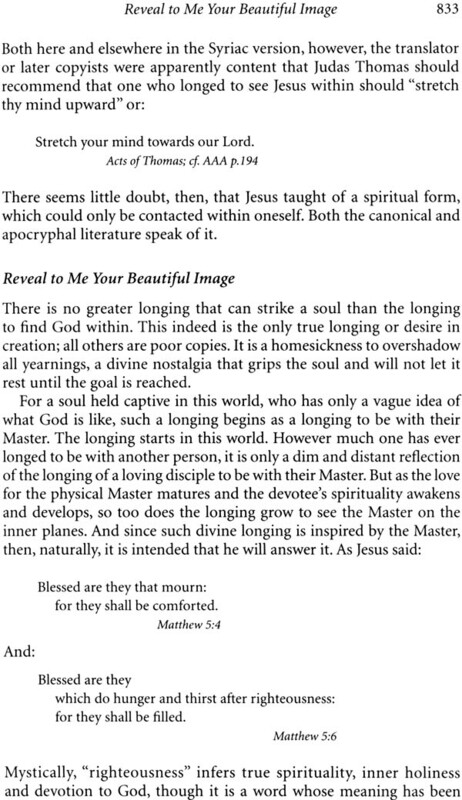 Specifically, in approaching each aspect of the mystic path, I have generally begun by referring to the teachings of Jesus as found in the four canonical gospels, rather than the tenets, beliefs and theology of later Christianity. Often, however, the canonical sayings of Jesus on a particular subject are so sparse that what he really taught still remains obscure and open to speculation. That is why the early Christians found it necessary to formulate precisely what it was they believed - and why it was that there was frequently so much disagreement. Furthermore, scholarly research over the last century and a half has led to the realization that the gospels, with the possible exception of a major portion of John, were not compiled by those who knew Jesus. 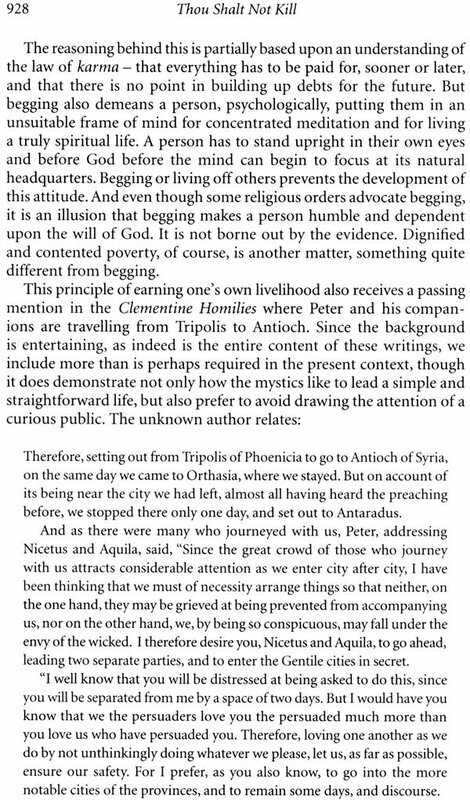 They were almost certainly written between forty and seventy years after the death of Jesus, a lapse of two or more generations, presenting plenty of opportunity for things to have become distorted. It has also become evident that the gospel compilers, although incorporating the teachings of Jesus, had their own individual points of view and in some instances can actually be observed adjusting or presenting Jesus' sayings and teachings to fit these beliefs. The gospels then passed through a period of copying and general editorial tampering that lasted three or four centuries and it is only these edited and often differing versions which have survived to modern times. As a consequence, in order to better understand the words of Jesus, it is essential to spread a wider net than the canonical gospels in the search for the meaning that lies behind them. Another of the purposes of this book, therefore, has been to place Jesus in his cultural and religious milieu, in particular, the mystical context of his times. To accomplish this, I have drawn extensively upon material from outside the New Testament. 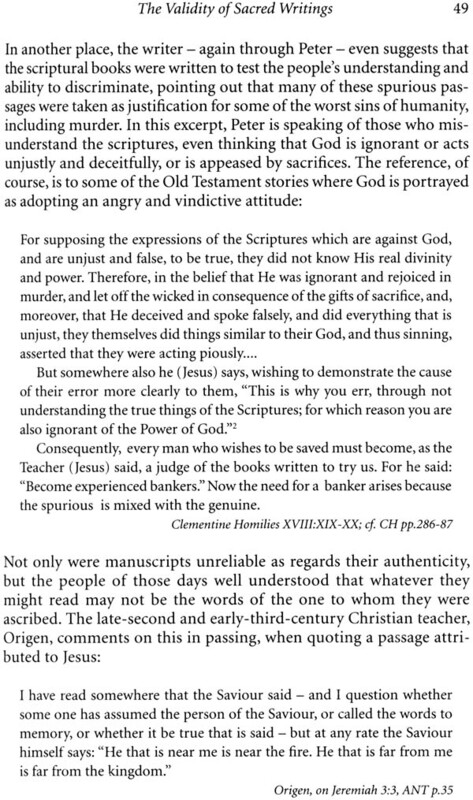 It is fortunate that despite the efforts of earlier 'orthodox' Christianity to destroy the evidence, there is a great wealth of literature now available from early Christian times. Some of it has only been discovered in the last fifty or one hundred years and some translated only in the last two decades. And although it must be only a small fraction of what once existed, in many of these fascinating documents, the sayings, metaphors and parables of Jesus found in the four gospels are used and explained in such a way that considerable light is cast upon them. They also reveal the broad spectrum of belief and understanding that prevailed among the early Christians concerning Jesus' teachings. Because the intention has been to place Jesus in the context of his own times, I have drawn only sparingly from the writings of later Christian mystics and teachers. It is certainly true that there is a great deal of wonderfully inspiring literature written by these mystics, many of whom were accused of heresy in their own time, some even being executed for their beliefs and experiences. Most, if not all, of the key principles of mysticism can be supported and elucidated by reference to their teachings. 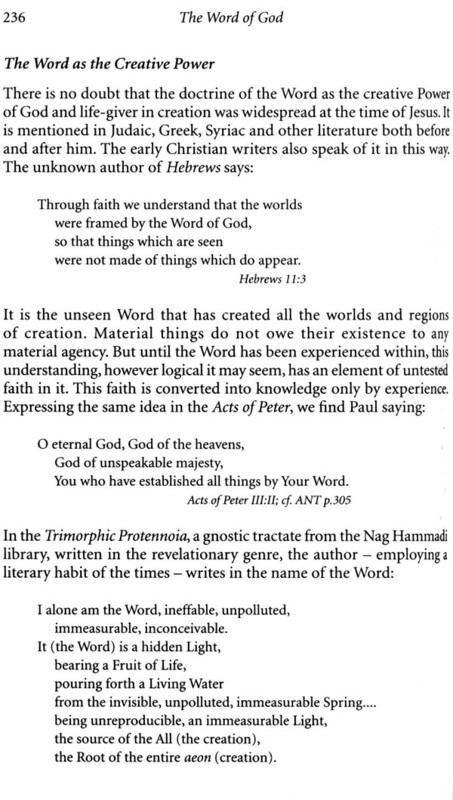 But, in this book, the idea has been to demonstrate the meaning of Jesus' teachings by reference to his own words and to those of his near contemporaries and, in general, I have only used quotations from Christian mystics to help elucidate the nature of mystic experience. This book is written primarily for those of a Christian background who find themselves seeking for a higher and deeper understanding than dogma and ritual can impart. Its presentation and style, therefore, are intended to make its contents accessible to the lay person. This is the first time, I believe, that such a wide-ranging study of the mystical and allied writings of Jesus' times has been attempted. On the other hand, though avoiding the use of scholarly footnotes, all excerpts and citations are clearly referenced and can easily be traced to their sources by those pursuing their own research. In fact, the research behind this book has been as thorough as it could be. 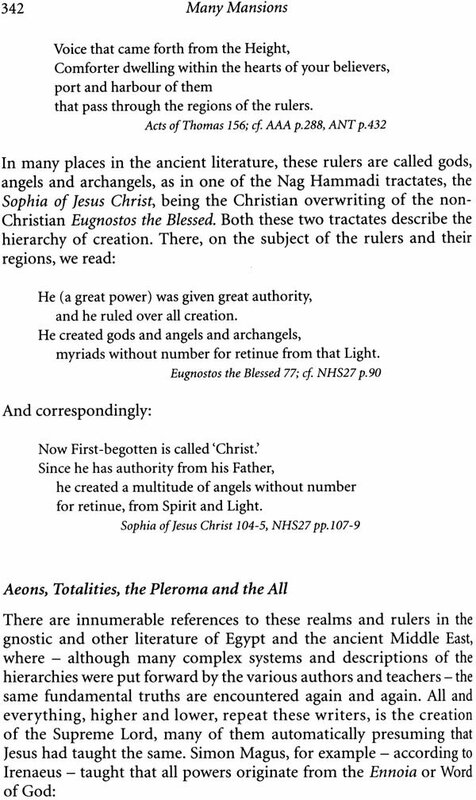 Generally, books concerning the mystic literature of early Christianity have been written by professional scholars, often by those with little or no experience of the mystical. 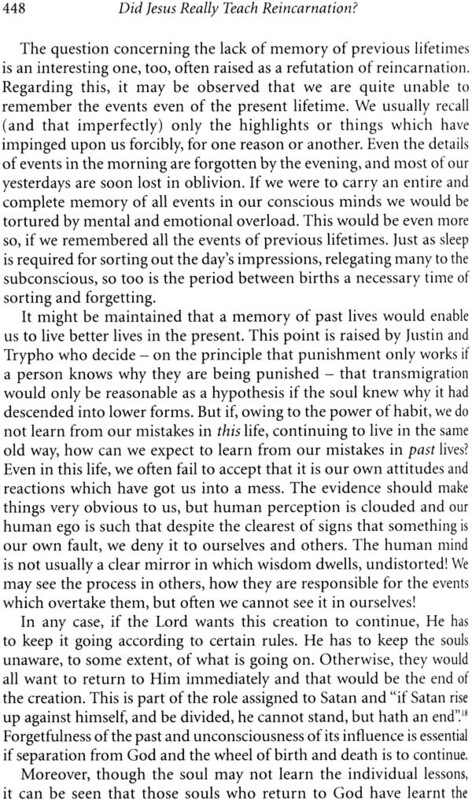 But mysticism - being a matter of personal, inner experience rather than intellectual study - will always be misunderstood to a greater or lesser extent by those whose only experience has been intellectual. Since my interest is primarily mystical, this book may help, therefore, to provide another point of view and afford some stimulating reading. The overall plan is straightforward. The book is divided into four parts. The first chapter of Part One looks at the relationship of religion to spirituality and mysticism, discusses the nature of mysticism and introduces the fundamentals of the perennial mystic teaching. This is equated with the essence of what scholars have termed the 'gnostic myth'. The process by which mystic or spiritual teachings become a religion is also discussed and becomes one of the refrains running throughout this book. The next four chapters of Part One cover the background to the New Testament and allied ancient literature. 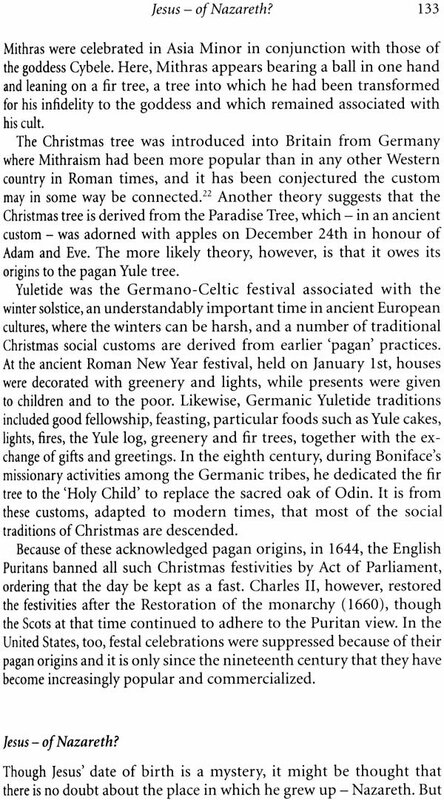 The origins and authenticity of the various texts are examined, according to the findings of scholarly research. The little that is known of Jesus' life history is also considered and key characters such as Paul are introduced. The intention, here, is only to provide a background for the understanding of the original teachings of Jesus. No attempt is made to depict the development of Christian dogma or to provide a history of early Christianity. The main body of the book, divided into three further parts, is then concerned with a systematic study of the teachings of Jesus - considered in the light of the universal mystic path - and the way in which a large number of early Christians understood him. Each chapter takes a topic and explores it thoroughly. The subjects presented in Part Two are those of God, the Creative Word, the creation and the soul, the origin of good, evil and sin, and the part that man is called upon to play. 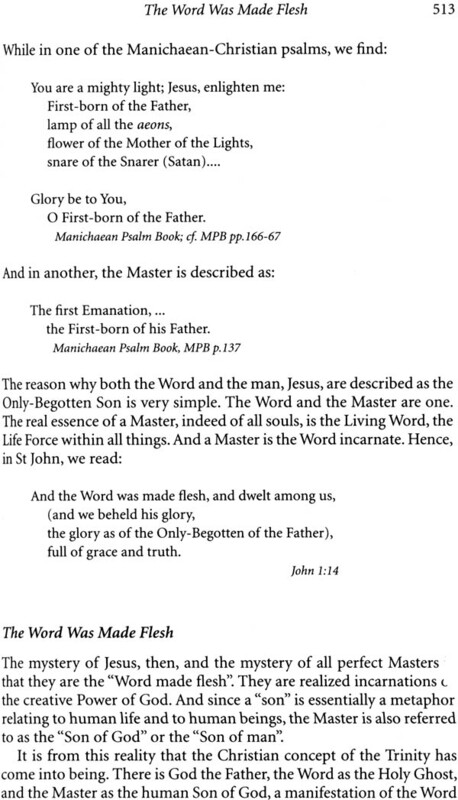 In Part Three, the nature and role of the mystic Saviour or Son of God is discussed, while Part Four focuses on the path of man's return to God. It includes a discussion on the character of mystic baptism, the nature of true prayer and how man may overcome his difficulties in this world. Also considered is the spiritual basis for a true morality and ethics, together with its relationship to mystic teaching and the path of discipleship. 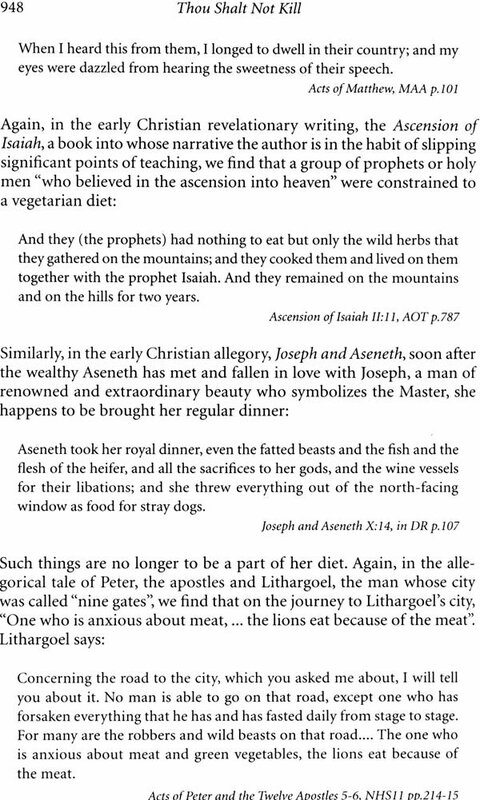 The Epilogue then spreads a wider net and provides a very brief overview of some of the mystics prior to Jesus' time who taught the same universal mystic truths. Though I have endeavoured at all times to keep the content direct and clear, it should be understood that no attempt is being made to convince anyone of anything, nor to shape anybody's thinking, nor to argue about any aspect of the Bible. The quest for Truth is a personal odyssey in which every person has to seek for themselves and to satisfy their own inner self. The question of dogma does not arise. I have only tried to put certain facts - often of an irrefutable historical character - before the reader and then to let him or her judge for themselves. There may be parts of this book where the reader finds himself in disagreement with the author. Fair enough. But if what is written here is found to stimulate and to inspire the reader to clarify his or her own understanding, then its purpose has been achieved.